On approximately the first day of spring (in the northern hemisphere) and in my effort to keep us all current on life in Gaza under siege and ignored by much of the world, including many Palestinians in the West Bank, I’m posting a recent powerful message—or series of messages—compiled by the Palestinian Center for Human Rights based in Gaza. While in Gaza I had the opportunity of visiting regions with a British woman, Louisa, who was volunteering as a writer for PCHR. She might be the author of some of these messages. Much in these narratives resonates with my experience investigating hydropolitics, human rights violations, resistance to the siege, medical conditions, and daily life in Gaza. A favorite expression of my friends when the electricity suddenly disappeared or we’d run out of cooking gas: “Ah, life in Gaza!” Accompanied by a chuckle, a life-sustaining chuckle. But for how long? 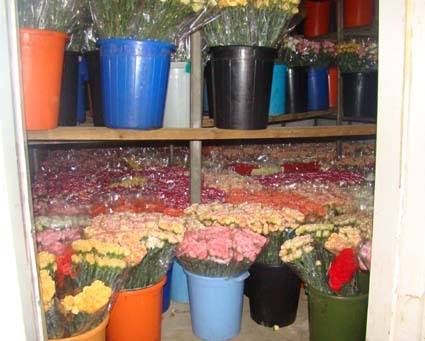 The industrial refrigerator at Hassan Hijazi’s farm stores 100,000 flowers. But he cannot sell them. Ard El Insan Child Nutrition Centre in Gaza city treated almost 8,500 malnourished youngsters last year. 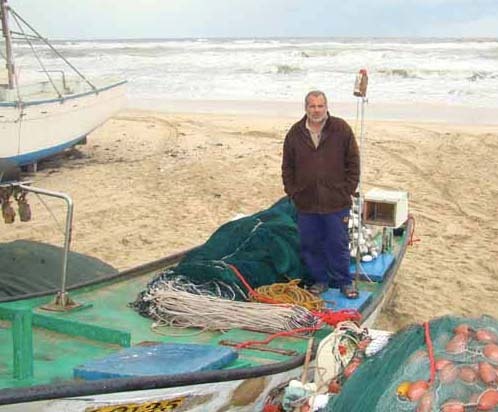 Jamal Mohammed Bassalla on one of his fishing boats, in Rafah, in the southern Gaza Strip. Whenever he stands at his front door, or looks out of an upstairs window, Jamal Swailem can clearly see Erez Crossing. 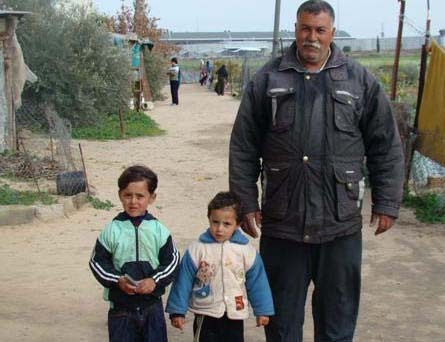 His house lies just 400 metres from Erez, close enough for him to see pedestrians walking through the crossing into Gaza; and also close enough for the Israeli Occupying Forces (IOF) to see every move the Swailem family make. Moin Ali Mahmoud al-Wadiya was working in the al-Zaytoun district of east Gaza city when Israeli Occupying forces (IOF) invaded al-Zaytoun on January 15th. 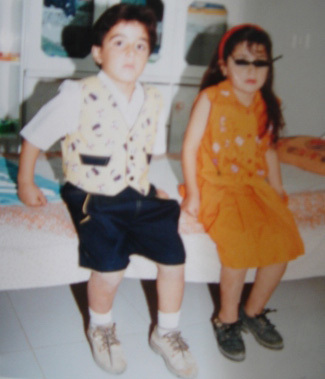 The fourty eight year old mechanic immediately tried to flee the intense IOF shelling, but when he stopped in order to drag a critically injured civilian to safety, the ground beneath him exploded. 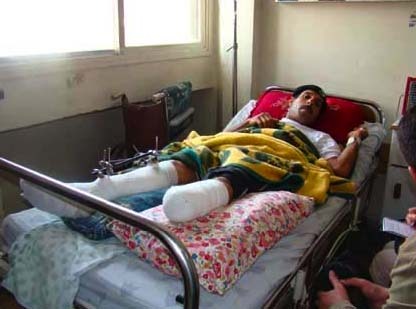 When he regained consciousness, in Gaza city’s main al-Shifa hospital, Moin al-Wadiya had lost his left foot. His right leg is smashed and he has serious lacerations across his stomach. Moin Ali Mahmoud al-Wadiya at the Al-Shifa Hospital in Gaza city.